The book is about two mice and two little people (beings that were as small as mice but looked like people) who are looking for cheese. 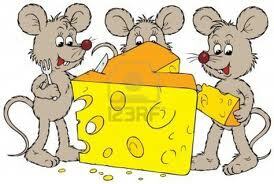 The cheese is a metaphor for what we want to have in life (a job, power status, relationships). The maze is a metaphor for where you spend your time looking for what you want (within the organisation, outside it, in the community, at home etc). Hem and Haw (the little people) also learn from past experience but develop more sophisticated ways of looking for cheese. Sometimes they do well but at times their beliefs and emotions take over and cloud the issue. Haw got lost a few times, wondered if he’d ever find the answer, but found little bits of cheese to keep himself going- things had changed since the last time he was out there. He realised the biggest inhibitor to change is what lies within you- and, there is always new cheese- whether you recognise it at the time or not! 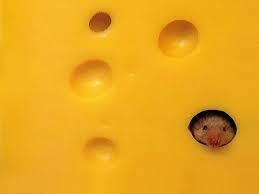 Haw wrote on the wall: Change happens- they keep moving the cheese-smell the cheese so often you know when its getting old-the quicker you let go of old cheese the sooner you find the new- savour the taste of the new and enjoy it. 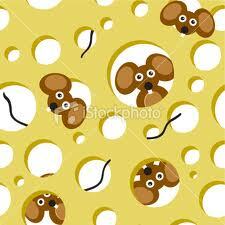 Be ready to change again- they keep moving the cheese. What parallels can you draw with organisational life? What does this tell us about attitudes to change? Which behaviours were helpful/ unhelpful? a) Which character are you? What will you do differently? c) How will this change the way you manage change in future? • Burying your head in the sand- focussing on the way we have always done it is a recipe for disaster! • Its good to evaluate and analyse- (sometimes disastrous mistakes are made because people don’t do enough of this) but don’t suffer from analysis paralysis- the early bird gets the worm! • How often do we analyse our own response to change as well as those we manage?